Hey everyone! We hope you had a good weekend, as were back and set for another here at the dojo! Any students that missed their tip or belt test from March Break will have one chance to catch up on their tip or belt test in the first class they are back to this week. With March Break over, we are back to our regular class schedule, and back to our Karate Kids Program schools, where we are working hard with all of the great boys and girls we have in their classes, getting ready for their belt testing to start in a few weeks! 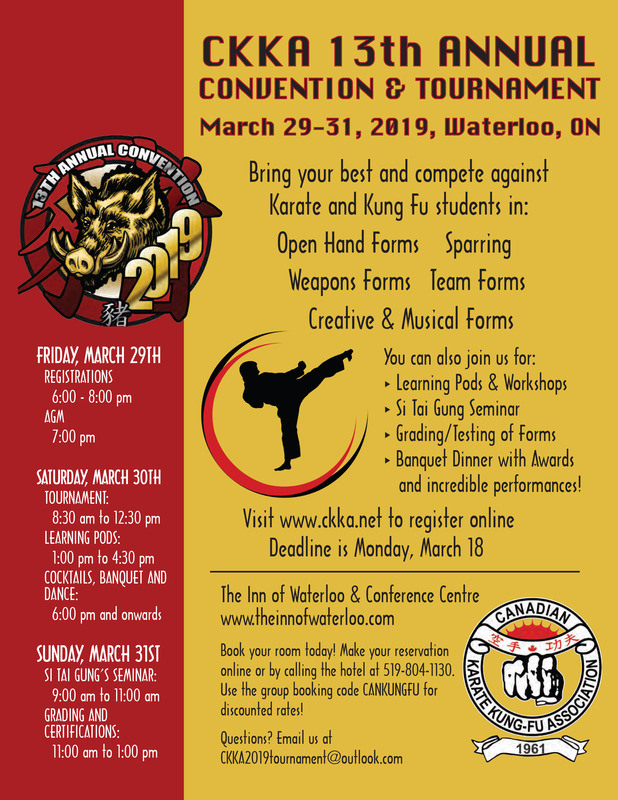 Today is the FINAL DAY for pre-registration for the CKKA weekend held in Waterloo at the end of the month, if you plan on attending, please let Kyle know today so you don’t miss out! We hope you have a great week, see you at the dojo!